Arif is on the Advisory Board, Institutional Capacity Building Initiative of the Muslim Council of Britain (MCB) and devised, developed and delivers the programme on risk and governance pro bono for a range of Muslim community organisations in the UK. He is also on the World Islamic Economic Forum (WIEF) Young Leaders Network Taskforce. Freda Miriklis is a proven leader in developing effective business coalitions focused on women’s empowerment. 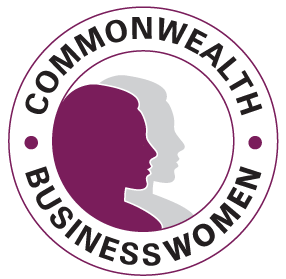 Currently Co-Chair of Commonwealth Business Women (CBW) and this follows three years leading the International Federation of Business and Professional Women (BPW International) as International President, an organisation she has worked with for over 10 years. Prior to this Freda spent 20 years’ in progressively senior investment advisory roles, becoming one of the first female Stock Exchange Automated Trading System (SEATS) Operators. A recognised authority on women’s economics empowerment, Freda is an inaugural member of the Women’s Empowerment Principles (WEPs) Leadership Group and has been a Member of the international advisory committee since 2010. She is also a member of the judging panel for the WEPs Leadership Awards. Mayeesha has over five years of experience working with non-profit and intergovernmental organisations and four years of experience working on international development in the academic sphere – focusing on gender, inequality and women’s economic empowerment in the global market. Working with the Climate Finance and Small States section within the Economic Policy Division of the Commonwealth Secretariat, Mayeesha’s work involved research around Small State’s human development trajectory with an emphasis on gender and education. She was also involved in a research digest focusing on youth entrepreneurship and the challenges faced by business-owners in a Small States context. Mayeesha was previously working within the Enterprise Development Program at the Cherie Blair Foundation and is an active member of the Gender and Development Network, participating in various working groups including the ‘Economic Justice’ and ‘Post-2015’ groups. Her work has spanned across research and communications in international development and she describes herself as an advocate for feminism and gender equality, especially in the economic sphere. Mayeesha holds a BA (Hons) degree in Economics and Development Studies and an MSc degree in Globalisation and Development from the SOAS (School of Oriental and African Studies), University of London. Erum Masood is Adviser, Media and Asia, Commonwealth Businesswomen’s Network. In her career she has been promoting the new media and marketing strategies to support the South Asian Media on an International platform. Making sure her work is getting multicultural working exposure in the United Kingdom. Her understanding on the growth of the South Asian Media Industry has flourished and this has made for the different communities to share their cultural and traditional values on globally. She was awarded the Madison’s Who’s Who (New York) 2011 – 2012 for her work in media and marketing. From 2006 to 2013 she was Programming Controller, Prime TV where she was instrumental in turning it into one of the largest Asian channels serving the entire South Asian Diaspora across Europe with a reach of more than 50 countries and 100 million viewers. She has had the honor of interviewing top politicians in the UK, being a renowned representative of the Media Women Publishers Journalists Organization in Pakistan. She has written more than 700 articles. She has also organised a number of charity events and contributing for the BBC Urdu Services London. She was also placed in the ‘Women on Top’ (2001) in the daily Newspaper “The News” on the Women’s International Day. She has attended workshops on reporting and digital media, while her strength lies in public relations, marketing and media planning. Additionally she is a Member of the Commonwealth Journalists Association – UK Chapter. Ms Varachia’s drive and commitment to achieve success can be attributed to many moments and experiences in her life, from watching her mother’s strength after losing her farther at a young age, to engaging with influential women made Farzana the determined ambitious entrepreneur she is today. Her experience ranges from Finance (preparing and interpreting financial reports, budgets and financial statements), Human Resources, Marketing, Business Operations and implementation of new companies. Her strategic experience was showcased when she had to implement new companies into current organizations – understanding the dynamics of a new business and assisting them in the integration with the current company proved to be challenging, but successful. Her current business projects are widely spread across Financial Consulting, Agriculture and SMME Training and Development for women and children, all of which encompasses her passion to empower. Farzana’s leadership qualities are honesty, forward-looking, competency, inspirational, intergritious and passionate about humanitarian rights. She was awarded Entrepreneur of the month in October 2013, when she was the owner of two beauty and wellness companies. She also sat on one of the Boards in the Wellness Industry as a Board Treasurer. Among other notable achievements include a Financial Management Diploma and New Managers Programme (NMP – NQF level 7). Farzana is also planning to purse a MBA qualification.